The Evolve Acceleration Program (TEAP) has been designed specifically by our international team of World Champions and elite instructors, utilizing best-practice methodologies from various martial arts from around the globe. Through private 1-on-1 lessons, this program will accelerate your progress up to 400% more quickly as compared to the rate of progress in normal group classes. With over 1,000 years of championship experience, the Evolve Instructor Team is Asia’s largest and most experienced team. 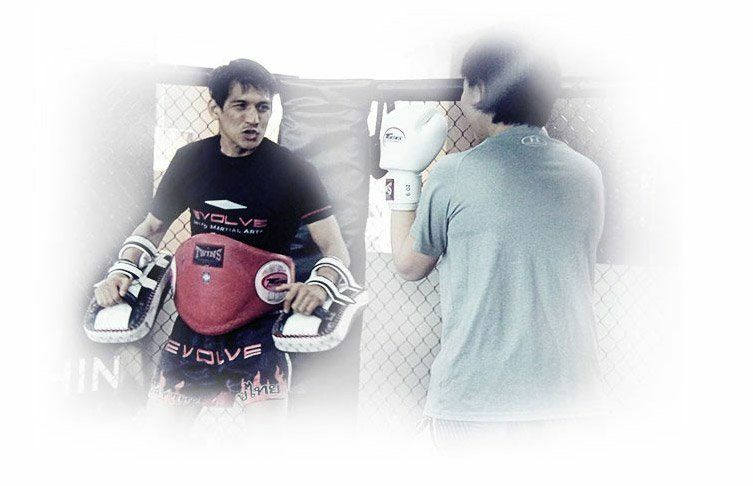 Many of the teaching and training techniques utilized by the professional Evolve Fight Team, Asia’s most decorated professional fight team, will be uncovered in the Evolve Acceleration Program. Through the Evolve Acceleration Program, our instructors are able to provide students with undivided, individual attention. The one-on-one lessons enable students to gain a better understanding of the technical aspects of a given discipline, allowing for a faster progression to elite competition level. For some students, learning martial arts in a group setting may seem intimidating. He or she may feel self-conscious about his or her coordination, physical abilities, or learning curve. Through one-on-one instruction, concepts are broken down and adapted to fit the student’s ability so that he or she is never confused or overwhelmed. The Evolve Acceleration Program is designed to accelerate your progress in martial arts. Think of it as a turbo boost to your martial art of choice. Whether it is promoting self-confidence, improving techniques, learning self-defense, or building a strong foundation for the future, the Evolve Acceleration Program will produce customized, tangible results for your benefit.